Select Size Choose an option3 ft.4 ft.5 ft.6 ft. 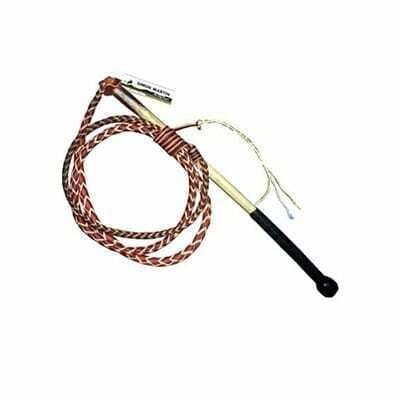 This is a quality Latigo/Cowhide Australian Stockwhip Handcrafted in Tasmania by our fine craftsmen. 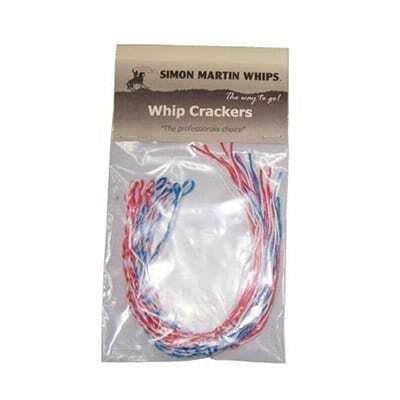 These whips are great for the beginner or a stockman working in rough terrain. 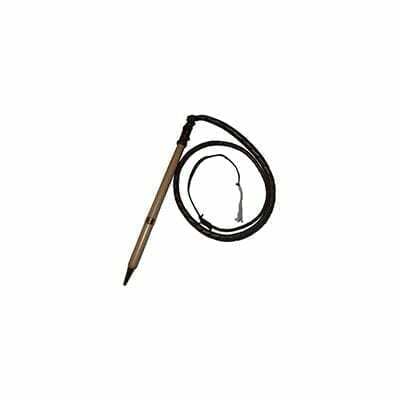 The handle is made of cane and is half plaited with 8 strands of kangaroo leather. A 3ft size is good for kids up to 6 years old, a 4ft up to 10years old or yard work and 5ft is excellent for children 11year old and upwards or for an adult to learn tricks with. 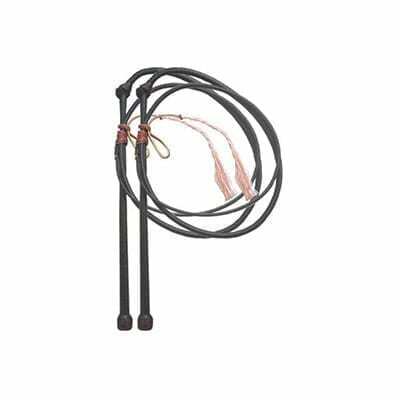 A 6ft length (as pictured) is good for general cracking or off horseback. 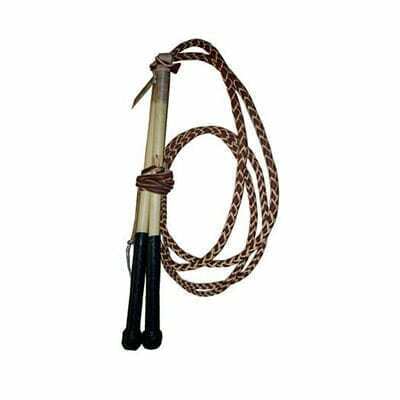 If you were looking for a “Redhide” stockwhip then this Latigo stockwhip is what will suit you. 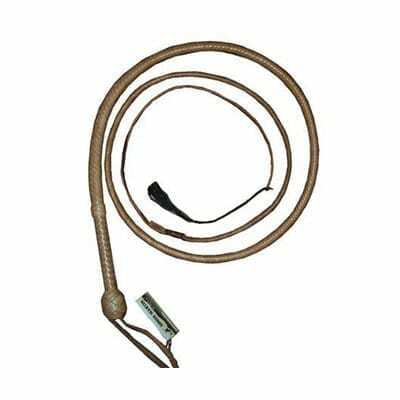 Latigo is bascially same tanned leather as Redhide but stronger. Generally we have “Black” handled ones available for immediate delivery. Please allow 1 to 2 weeks before shipping if ordering another colour.